People tend to always overlook the importance of their garage doors and how it is also an entrance to their home. To secure your garage means to also fully secure your home. There have been quite a lot of break ins in Chandler AZ and across the country where the burglars entered the garage, and so that should kind of be a wake up call for people to increase the security of their houses. The amount of benefits you can receive by simply securing your garage are quite endless, so don’t wait any longer to get it done. This will ensure that you don’t have to hire a garage door repair company in Chandler, AZ. Because the garage is considered to be one of the most vulnerable entrance point in a home, ensuring that it is completely secured means that you will be less at risk to a break in. Understand that overhead garage doors tend to be insecure doors, and so it is so important that you watch out for it at all times. Take proactive measures so that you are certain it stay secure throughout the day. Replacing your garage doors at least once every ten years can also help increase your security, because the older your garage door is, the more vulnerable it can become. The main benefit you will receive when you secure your garage is that even if you aren’t at home to protect your property, no one can enter the premises. However, a lot of people tend to try and secure their garages themselves, and just windup not getting the results they want. This is why there are such companies out there so that homeowners can use there services when it comes to security. One of the main things you will have to look for in a company that secures garage doors is credentials. Ask if you can look at their past work to gain a better idea on how well they can work. If they lack experience, then it probably means that aren’t as qualified to do the job, so be sure that they have the knowledge when it comes to securing garages. Lastly, be sure that the company is reliable and willing to maintain the security of your garage. Sometimes your garages will need to continuously receive maintenance to sustain its durability and so this is a trait that you should really look for. When you have a secure garage, that is when you’re entire home will be safer and stronger against intruders. 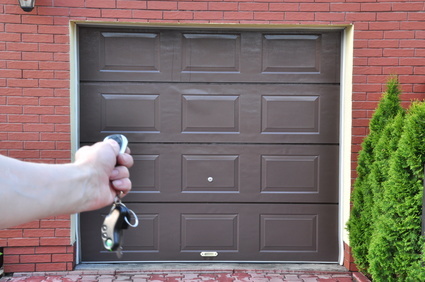 We recommend AZ Garage Pros in Chandler AZ for any garage door repair services you may need. If you have a problem with locks or keys though, we are the company to call! I am an experienced, veteran locksmith and the owner of Chandler Locksmith Pros. I specialize in anything locksmith related, especially when pertaining to Arizona. My company offers full service auto/car, residential/home, and business/commercial locksmith services for people in Chandler, AZ. If you need any type of service that is lock or key related, security related, or need garage door repair services in Chandler, make sure to give us a call!